If you begin to notice that your computer is malfunctioning, for example, spontaneous reboot, system hang, hang strong in video games, then it can't hurt to check on the stability of the working memory (RAM). Perhaps for some reason it started to work correctly. Also there are occasions when memory simply fails. In certain cases it is possible to restore the normal operation of the memory modules. To test the memory modules individually, you need to discover the one that works correctly. Once the module is found, it needs to be reinstalled in another slot of RAM and recheck again. So how can it be a variant of the failure of the memory module and slot connection on the motherboard of the computer. 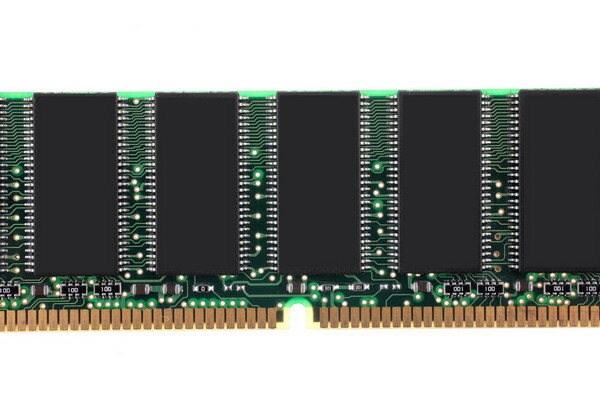 Quite often in bars RAM simply oxidized contacts. This prevents its normal operation. To solve, turn off the computer, disconnect it also from the power supply. Remove the cover from the system unit. Locate the slot in which you inserted the problematic module. Programs that test the operation of RAM indicate which slot module is connected. If, for example, the slot number "1", then you need to look at the motherboard the first slot. Now slide the latches of the memory module in the lower position. Pull the bar memory. Take a rag, a little alcohol and wipe the contacts with a connection on the module of RAM. Insert the memory back. Do not close the computer case. Turn your PC on. Test of memory. If errors are detected, then you can close the system unit. If the memory is malfunctioning, perhaps from its strap just came off some small detail. If so, it should be close. If you have managed to locate the item, review it carefully. The element is conditional a number of letters and digits. Remove the memory. Look on the bar element with this notation. Now just solder the part to the strap. To fly off maybe a capacitor or a fuse. If you have never dealt with a soldering iron, it is better to consult a specialist. After the item is soldered, insert the memory and check her work. Also there are situations when broken chips on the module. However fix them at home is impossible. If neither the first nor the second case is not helped, then maybe it happened. In this case it is better to carry the memory of the service center.